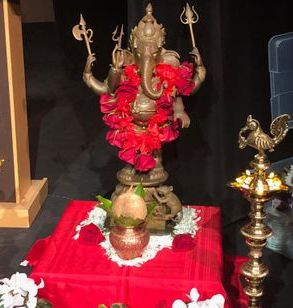 Maharastra Mandal of Los Angeles celebrated lives of Sudhir Phadke [ Babuji] and G.D. Madgulkar [GaDiMa] as 2019 is the birth-centennial year for both. 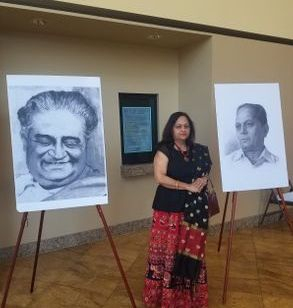 The program highlighted the work of both these giants in the realms of vocal music and poetry respectively. 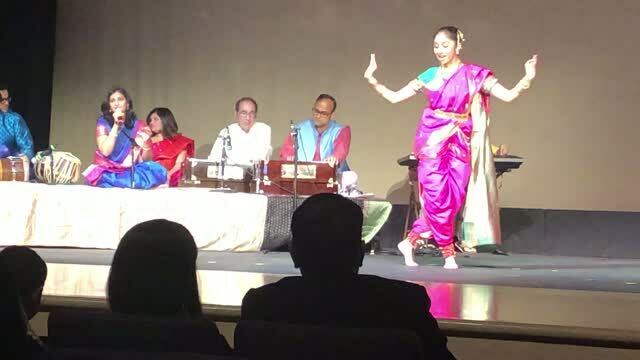 As the world-wide Marathi diaspora celebrates the birth-centennial of the duo, MMLA joined the wagon with a program conceived and directed by Dr. Gopal Marathe of Los Angeles. Sudhir Phadke was born in Kolhapur, he got his formal education in music by Mr. Padhye and V.D. Paluskar. He came to Mumbai after travelling and exploring on music. He had a hard time financially at the beginning. Mr. Madgulkar was born in Shetfale village. His maternal uncle was devotee of Rama. GaDiMa read religious books and was influenced by the scenes of rural life from his surroundings. They both met at the film studios in Kolhapur where GaDaMa wrote film scripts as well as the songs and Babuji composed music for them. 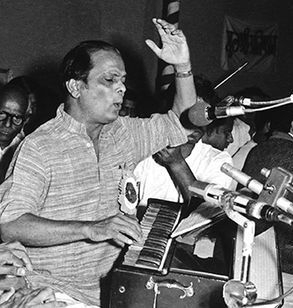 Babuji gave music to more than fifty Marathi and Hindi movies including poems and sang many of them in his melodious voice. He produced the movie “Ha Mazza Marg Ekala” which won a Presidential award. 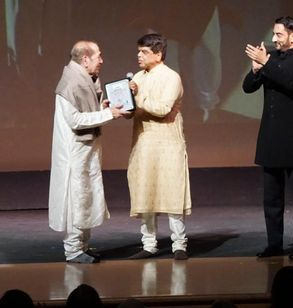 Babuji was known for correct pronunciation of the words in the lyrics without losing the poetic sentiment or the beauty of the fitting melody he had chosen for the poem. In early 1950’s Mr. Seetakant Lad, the director of All India Radio Pune requested GaDaMa to describe the life of Lord Rama in lyrics and asked Babuji to set music for it. At that time there was no advance recording of the songs, so GaDaMa delivered a poem each week and Babuji set music for it and they produced the final version on every Sunday morning. The stories of the sparks that flew between the two geniuses are a legend! The stories of Geet Ramayan was broadcast weekly for a year. This was before television, so all Marathi people were glued to their radios for each broadcast. Indeed, the charm of this musical offering is such that GaDaMa was compared to Valmiki, the poet who wrote original epic called Ramayan. 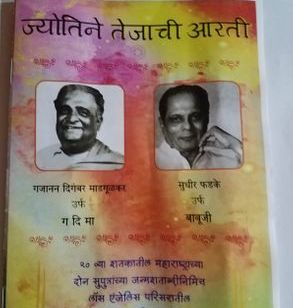 They both will be remembered for their exceptional work by Marathi diaspora around the world for ever. 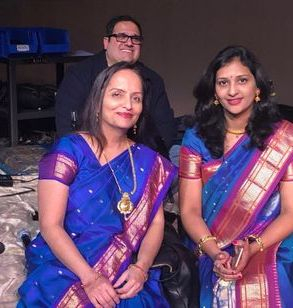 It was very hard for Dr. Marathe to pick a few songs from the ocean, but they did sing a few very popular numbers and a few songs included dance in it. The artists were all local from Los Angeles. 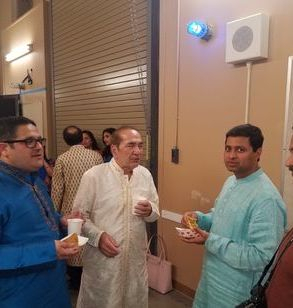 The special guest of the program was Mr. Sarang Hardas from Los Angeles, who is a successful business person and involved in a lot of charitable and social activities. 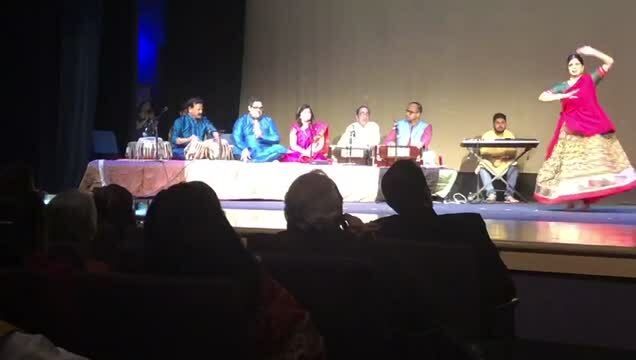 Last but not the least is a very nice production by Dr. Marathe who has witnessed Babuji’s’ musical journey being a family friend to Phadke family and team of local artists! 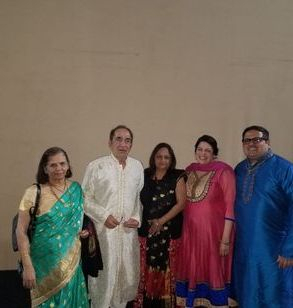 Anchors of the program were Mrs Shailaja Mate and Mr. Shashi Panat. 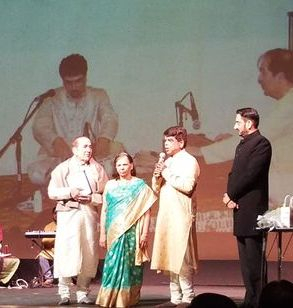 Maharashtra Mandal of Los Angeles awarded Dr. Gopal Marathe “Jivan Gaurav puraskaar” for his work on music and towards local community, it was a very well deserved recognition. 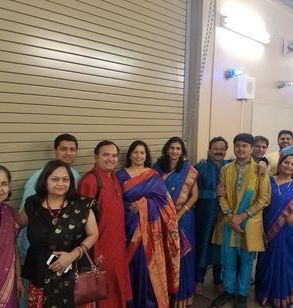 His wife Mrs. Nanda Marathe who helps him out in all his projects was also invited on stage to receive this honor together. 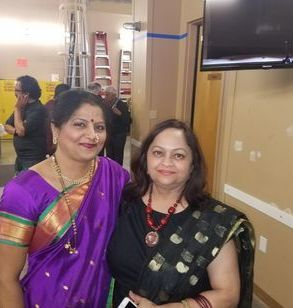 Thanks to all of them who participated and Maharashtra Mandal of Los Angeles for hosting this show.